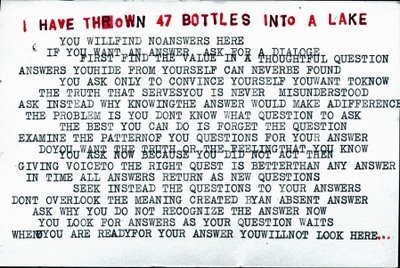 In January 2004, I started the “reluctant oracle” project. Every Sunday, I created an released a new work to be discovered. They were discovered by people serendipitously. The story found local, national and international media coverage. 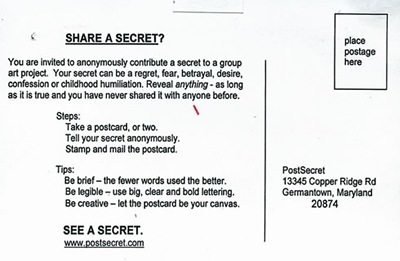 The last message from “reluctant oracle” bore the message, “You will find your answers in the secrets of strangers.” The next Sunday the PostSecret began.